Esther de Geus (Fanatic / Duotone) made her debut on the Women’s PWA Slalom World Tour and over the last few years the 27-year-old has made steady progress up the overall rankings - with her training in Tenerife clearly paying dividends. De Geus finished 13th in 2015 and has improved every year since - 2016 - 7th - 2017 - 6th - and 5th in 2018, which was her best result to date on the world tour. As someone who is on a steady upwards trend we recently caught up with Esther for the latest edition of our 20 Questions feature. I love the high speed on the water and it creates a feeling of freedom. The waiting game in Korea (After coming there for the fourth time). My persistence to reach my goal. For slalom I am to light and short so I have to compensate with my other qualities. Competing in New Caledonia and Portugal, two amazing places to race! Racing in water full of seaweed or trash. Sunny, warm and windy sharing a great day on the water with friends and a lot of smiles. In general, losing the people you love. 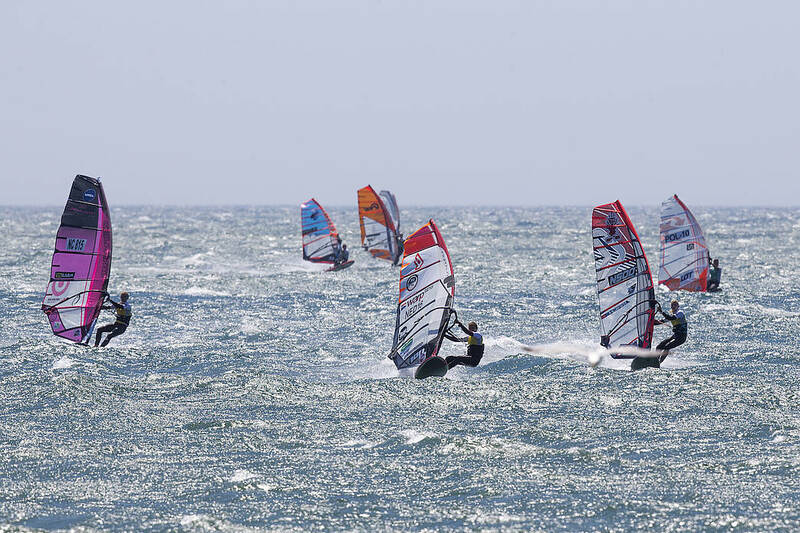 In sport/ windsurfing my biggest fear is to get so badly injured that I am not able to windsurf / play sports anymore. My loved one and family. Hmm difficult question but I guess a doctor. Australia, the best sailing conditions, friendly people and beautiful nature. Stay positive, work hard and enjoy life. Thanks, Esther. See you soon in France!